Go To Prior Days TTD "Reports"
Ticker Tape Digest presents its daily stock market report containing stocks to go long as Breakout Trades, Quick Trades, or Bargain Accumulation Trades. We also feature stocks under Significant	Accumulation that are poised to breakout. 1. Pre-market - check Breakout Watch List and Quick Trades. 2. Morning - (11:30 - 12 A.M.) - check breakout stocks tape and breakout chart slide show. 3. Midday (1 P.M.) check TTD Midsession Report and see market video show. 4. After close (4 P.M.) check final TTD Report for day. The TTD report also	contains stocks to short as breakdown plays and as bargain (swing trade) shorts. Investors should tend to try to go with a strategy that fits with the stock market's trend, unless there is a special situation play. TTD's Breakout Stocks - Long are most suitable for aggressive investors seeking ideal entry points into leading stocks, especially during bull markets. They can do extremely well in bull markets with gains of as much as several hundred percent. These stocks can also do extremely well during strong market rallies, or if they are in a industry group that is performing very well. They tend to have strong earnings outlooks and are near new-52 week, or all-time highs. TTD Quick Trade Stocks - Long These are leading issues that have pulled back in recent days, but could move higher soon. They are most suitable for Aggressive Investors willing to trade short term. These stocks will do extremely well during market advances. They have about 74% win rate. During market rally sequences the win rate is even higher. The return is small 3% to 8% in just a few days. TTD's Bargain Buy Trades - Long - Long Term. These are for conservative bullish Investors These long-term buys are ideally suited for entry into stocks on pull backs within overall up trend. These stocks can give a good return long-term especially during a bull market. TTD also presents Stocks To Sell or Sell Short. These issues are suitable for aggressive investors willing to take short positions both as trades or for longer-term plays. These stocks will do very well during bear markets or market pull backs. TTD's Bearish breakdown stocks to sell short. These issues have potential to fall sharply. They often show a technical breakdown and also some fundamental business problem such as weak earnings. TTD's multi-media updates include a slide-show that presents charts and analysis at midsession. Some times TTD presents feature analysis on stocks and the market. TTD uses Windows Media Files. (WMV). TTD also presents a "Breakout Watch List" that is up dated daily. This list consists of key stocks in position to breakout. A close watch of this list can put you in the stock just as it breaks out. A good idea is to study the list and be ready to move into a stock quickly as it hits its breakpoint. TTD often suggests using stop buy orders to enter. It is very important to buy a breakout stock as close as possible to the breakpoint. The idea is to get "elbow room" if the stock should follow through to the upside. This is very important in being successful in making big money with breakout stocks. It is also essential to have a stop loss strategy for all stocks in which positions are taken. Not every stock will work as expected. It is important for investors to "police" their portfolios and avoid getting trapped in any bad positions. Quality rating of breakout Two key factors: 1 - Stock near all-time high in price or near a 52-week high. 2 - earnings growth current year is strong. The ideal play is a stock with an Above Average Quality Rating. The stock is near a new high and will have strong earnings. TTD's other ratings are Average and Below Average. TTD also has special feature sections on Educational Tips on Investing. 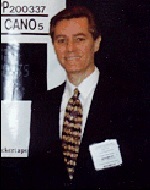 To email Mr. Leo Fasciocco leo@tickertapedigest.com. For service, email Beverly Owen owen@tickertapedigest.com. TTD�s Tel: 1-480-926-1680. Bull side - Bulls Large list of breakouts Wednesday with some interesting plays. Stock market - Market averages are bullish in all time sectors. Comment - TTD sees stock maket in a consolidation pattern. Earnings will be coming and will have a big impact on the market. See Latest Earnings Reports - A company that tops the Street's highest earnings estimate has potential to go higher. Earnings beats for Wednesday - None. (The �breakout List� gives all stocks breaking out of a base of five weeks or more. These stocks have a good chance to trend higher. However, a stop should be used to avoid those that do not work. They are ranked according to percentage change and classified as leaders or other. TPLN, based in Henderson, N.V., is a payment solutions firm providing prepaid card programs and processing services. TPNL rises sharply Wednesday and breaks out from its 10-week flat base. The move carries the stock to a new all-time high. TTD sees more on the upside. So far today, TPNL is trading 1.5 million shares, five times its average daily volume of 302,000 shares. TPNL's worked higher in the morning and cleared its breakpoint line in the early afternoon. The stock continued higher in the afternoon and touched an intraday high of $8.90. TPNL's tape action shows the recent block trades. A key bullish trade came in the early afternoon when a block of 8,725 shares crossed at $8. That was up from the prior block at $7.86 on 9,900 shares. TPNL markets prepaid debit card solutions under its PaySign brand. The company is engaged in the development of a secure payment gateway and hardware devices, which utilizes encryption technology and secure key exchange to facilitate personal identification number debit transactions over the Internet. Its products and services include The PaySign Brand, Incentive Rewards, Source Plasma Donor Payments, Pharmaceutical Market and Buy and Bill. The company provides various services, including transaction processing, cardholder enrollment, value loading, cardholder account management, reporting and customer service. TPNL's 12-month performance chart shows the stock up a sensational 420% versus an 8% gain for the stock market. Insiders were buyers last year at $3.60 a share using stock options. They have not done any recent selling. TPNL's long-term chart shows the stock soaring from 42 cents back in 2017 to $5.33 a share last year. The stock based and has since shot higher again. It is at a multi-year high. TPNL's daily chart shows the stock climbing from around $4 in 2019 to a peak at $8.36 in February. The stock then put down a tight vlat base. The breakout Wednesday comes with a widening of the daily spread and expanding volume. The stock's CCI momentum indicator is strongly bullish. This year, analysts are forecasting a 56% surge in net to 14 cents a share from the 9 cents the year before. The highest estimate on the street is at 16 cents a share. Looking out to 2020, analysts predict a 100% jump in net to 28 cents a share from the anticipated 14 cents this year. Net for the first quarter is expected to be 2 cents a share. There is no comparison from the year before. For the second quarter, analysts project a profit of 3 cents a share. Currently, two analysts follow the stock. Strategy Opinion: TTD is targeting TPNL for a move to $11.50 within the next few months. A protective stop can be placed near $8. Probability - Breakout Success - Extremely Bullish - TPNL scored some massive gains off some of its recent breakouts. The stock is in a long-term up trend. Probability - Earnings Response - Bullish - TPNL rose 7 times after the past 10 earnings reports when there was a significant change in price. Probability: Seasonal Success - Bullish. - TPNL averaged a gain of 8.7% in April but a loss of 0.8% in May the past several years. Stock's % Change from Breakout to peak - prior to cut below 50-day M/A. (In actual trading, entry and exit points could vary depending on broker execution. Ticker Tape Digest provides a list of potential breakout stocks from our screen of companies that will show some of the strongest earnings gains. One of the best ways to play these stocks is to study the list and then place a stop buy order to catch the stock on the breakout. One can take either a full position on the breakout if they are aggressive, or scale-in looking to add to the stake later if they are conservative. TTD's premarket breakout watch list gives you a great opportunity "to be prepared for the next key breakout stock just before it happens." The list will be updated daily and the screen monthly. TTD takes no responsibility for trading by those using this information. The stocks presented in our report are those we deem the best looking Trade Setups for the long side. We take no responsibility for the accuracy of this data, although every effort is made to present the information correctly. Copyright Ticker Tape Digest. 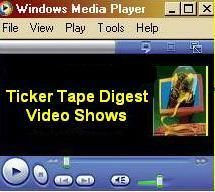 Ticker Tape Digest�s Daily List of �Stocks To Sell or Sell Short� ranks stocks well timed to be sold immediately based on daily trading. The list can be used as an alert to reduce current long-term positions. 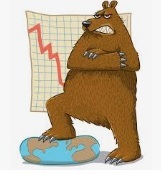 Long-Term Environment for bears: Unfavorable. Bear Side - Large list of breakdown stocks. Many medical stocks breaking down. Aggressive bears can be venturesome. CEVA, based in Mountain View, Ca., produces electronic devices. Annual revenues: $78 million. CEVA's stock falls sharply Wednesday and undercuts key technical support. TTD sees more on the downside. So far today, CEVA is trading1.2 million shares - 12 times its average daily volume of 94,835 shares. TTD highlighted CEVA as a short at our midsession video show on the Web Wednesday. CEVA's stock gapped lower in the morning and undercut key technical support. The stock touched an intraday low of 22.76 in the morning. The stock then trended mostly sideways the rest of the day until the mid-afternoon when it lifted to around $24. CEVA's tape action shows the recent block trades. One can see the price for the blocks falling from $27.78 to $23.25 Wednesday. A key bearish trade came in the morning when a block of 13,476 shares crossed the tape at $23.40. That was down from the prior block at $27.78 on 13,555 shares the prior session. CEVA is a licensor of signal processing intellectual property. The company partners with semiconductor companies and OEM's to make mobile, consumer, automotive, industrial and Internet products. CEVA makes communications, audio and voice, imaging and vision, and storage products. This year, analysts are forecasting a 26% drop in net to 39 cents a share from the 53 cents the year before. For the first quarter, the Street expects a breakeven at 4 cents a share. Then in the second quarter they predict a 25% drop in net to 3 cents a share from 4 cents the year brefore. CEVA's daily chart shows the stock gapping lower with heavy volume and cutting below support. The stock has been trending lower since topping at $51 in 2017. CEVA's 12-month performance chart shows the stock down 35% versus a 8% rise in the S&P 500 index. Insiders have been recent sellers at $28 a share. Strategy Opinion: TTD is targeting CEVA for a decline to $19 within the next few months or sooner. A protective stop buy can be placed near $25.40. Probability - Earnings Response - Bearish. - CEVA rose 2 times after the past 8 earnings reports when there was a significant change in price. Probability: Seasonal Activity Slightly Bullish - CEVA averaged a decline of 4% in April but a rise of 9.3% in May the past several years. Distributed by Corona Publishing Enterprises. TickerTape Digest Inc. 1220 W. Sherri, Gilbert, Az. 85233. TTD �Professional Report� is available on the Web: $100 per month. Password needed. Published daily - around 20 times a month. TTD Pro Report includes a Morning chart slide show of breakout stocks, a Midsession video-audio show with commentary on breakout stocks and shorts and a Final end of day overall report on breakout stocks for the session, short plays and accumulation plays. There are other features too such as Quick Trades and Long-term Plays. TTD Daily Report is $39. 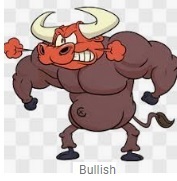 It covers a Morning slide show of charts of stocks breaking out and a TTD end of day print report covering breakout stocks and shorts. Credit cards accepted. Payable to Corona Publishing Enterprises.